It started six years ago at a Nova Scotia school after several students noticed another boy being bullied for wearing a pink t-shirt. The next day they came to school and distributed pink t-shirts for all of the male students to wear. It’s all a part of Pink Shirt Day, an event being celebrated all across the country to celebrate that we as a society will not tolerate bullying anywhere. 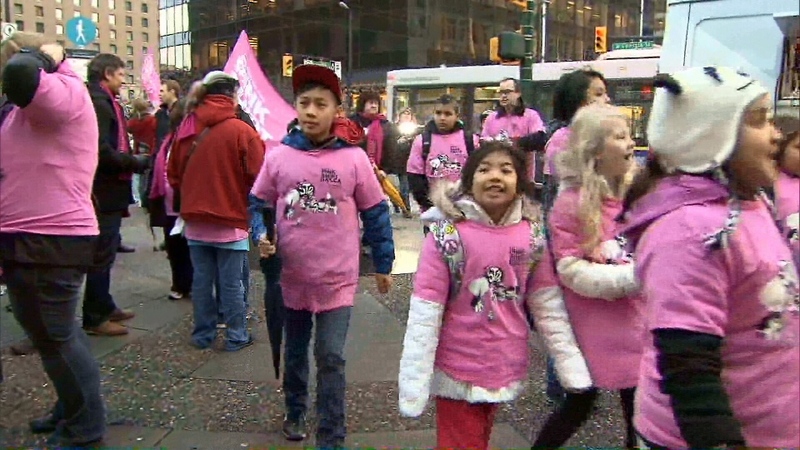 To show their support the Vancouver Police Department will be trading their uniforms for anti-bullying pink t-shirts. You can show your support on Facebook for this successful "grass roots" program. I AM SO PROUD TO BE A CANADIAN TODAY. neatly written article. I'll be sure to bookmark it and return to learn more of your useful info. Thanks for the post. I'll definitely comeback.